5 days 17 hours 36 min 41 sec remaining in the April competition. 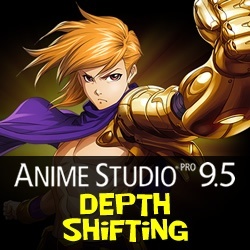 NEW in Anime Studio Pro 9.5 - When moving an object forward and back in Z, Depth Shifting is an option to preserve its apparent size. Anime Studio Pro 9.5 does this by automatically applying the proper amount of scale. This can be used to arrange landscapes, for example placing mountains far away without forcing them to become tiny.